Somehow I always seem to get roped into making dessert for dinner parties… unless my friend Chath is also going. I couldn’t hope to top her creations. I suppose people know my strengths; I can never think of creative or tasty canapes but dessert? That I can manage. And I enjoy making them, so it’s a win-win situation. After a chocolate making session with our house guest Mia, who is aiming to become a Chocolatier, I had learnt to make ganache and we had a lot of it left over. It took all the strength I possessed not to take a punnet of strawberries and start dipping right there and then. DE-LICIOUS. A couple of days later I needed to make dessert for a dinner party we were going to and after spending the day in Seattle, I was glad I had the ganache in the fridge. Half the work done already, woo! Good thing I didn’t scoff it two days earlier! One full batch of GF sour cream pastry (follow link to instructions) that has been completely blind baked. Makes 24 x 4 cm tart shells. Bring your cream to the boil in a small saucepan, until it just bubbles at the edges. Place chocolate chips and butter in a separate bowl. Once the cream has finished heating, pour it over the chocolate and stir with a whisk until everything is thoroughly combined and all the chocolate has melted. You just made ganache. Easy, huh?! Flavour it with the hazelnut extract and put aside to cool. You will probably have left over ganache, especially if you whip it. Yay! 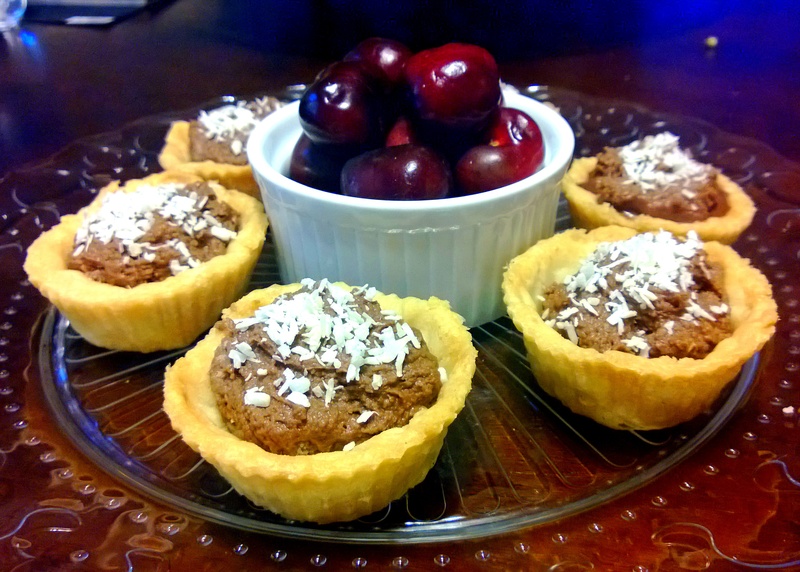 Use the ganache to fill the tart shells – they wont have any height to them and will be very rich. That isn’t a bad thing, necessarily. Chill them to firm the ganache up a little before sprinkling with desiccated coconut and refrigerating again before serving. Once the ganache has cooled to room temperature, add in the extra cream to cut the rich chocolate flavour and whip it to give it some air and body. 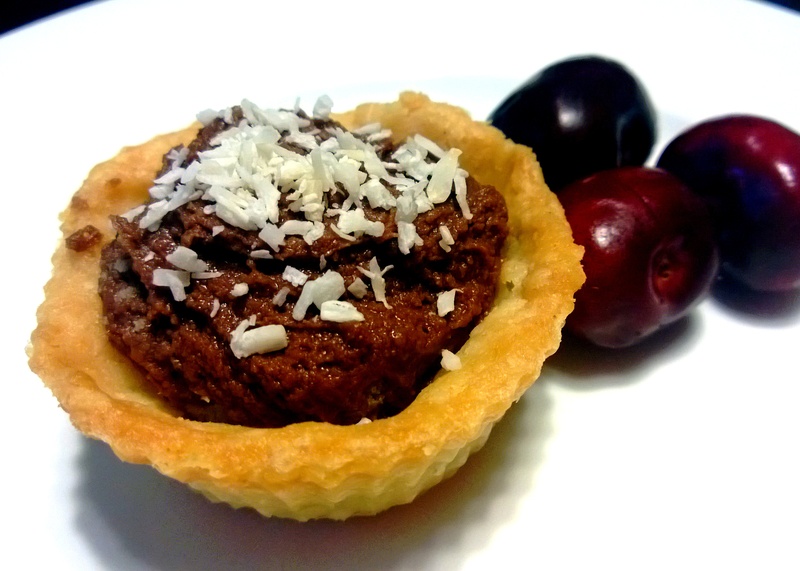 This option will allow you to give height to your tarts and for more people than just dedicated choc-aholics to enjoy them. 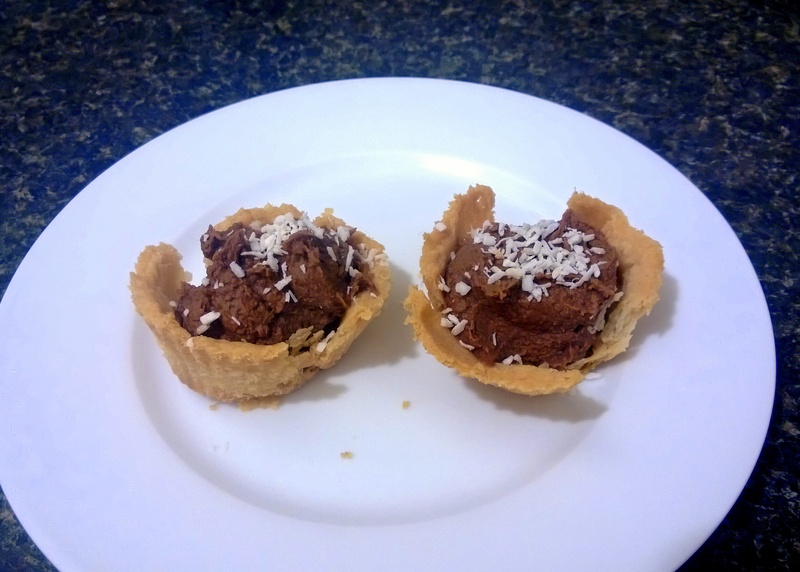 Top with desiccated coconut and refrigerate before serving. This is what I did. 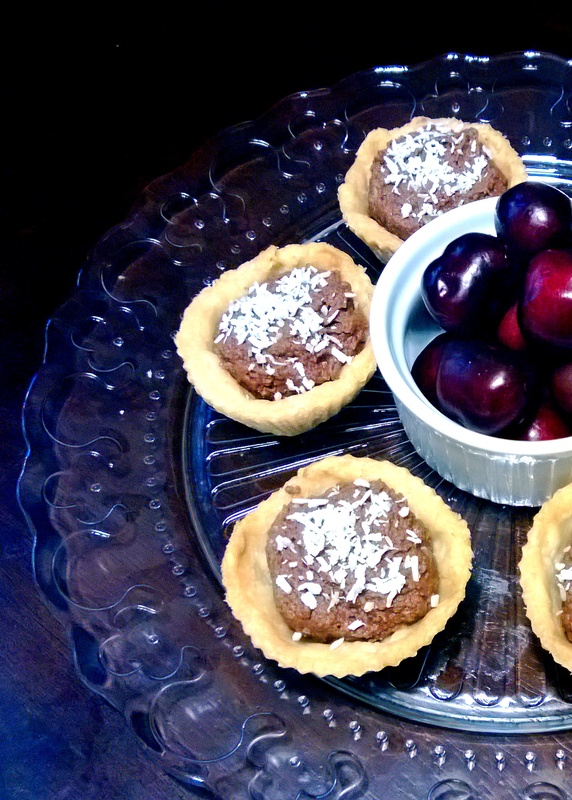 Cherries have polyols in them; if you are sensitive to them then don’t serve them along with your tarts. Duh! 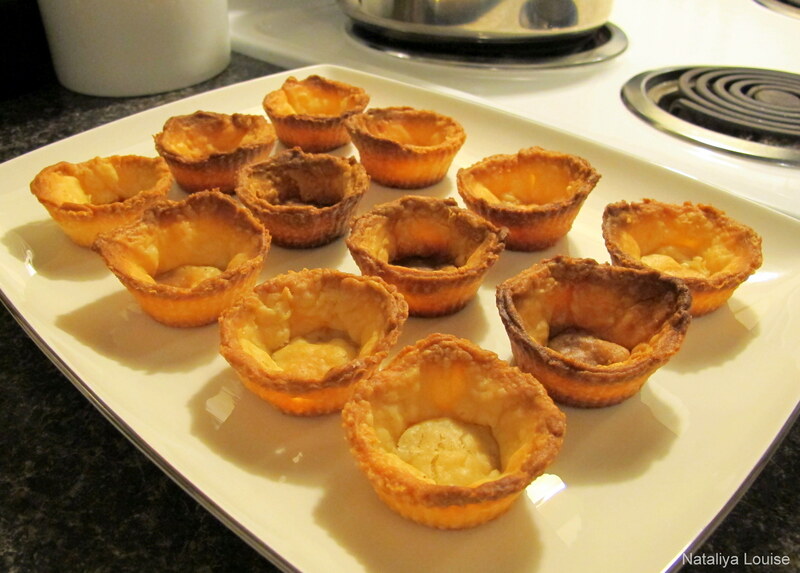 THIS is what happens when you don’t let your tart shells cool completely (for an hour) before filling them. When you move them, they crumble. Whoops. You have been warned; be patient! This entry was posted in Mousse, chocolates & custard, Sweet pastries, pies & tarts, Sweets and Desserts and tagged chocolate, dessert, dinner, food, fructose friendly, fructose malabsorption, gluten free, home-cooked, homemade, low fructose, nuts, pastry, pie, sour cream pastry, sweet, tart. Bookmark the permalink.